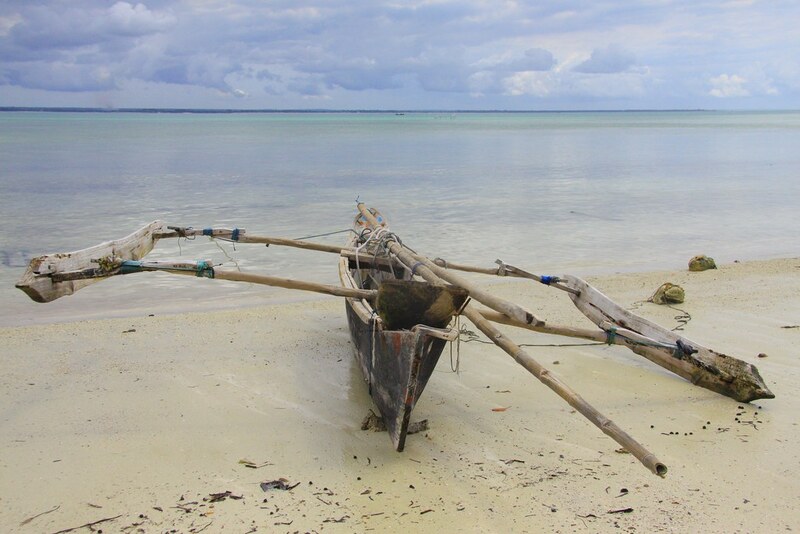 In Zanzibar my job is to get lost all day. 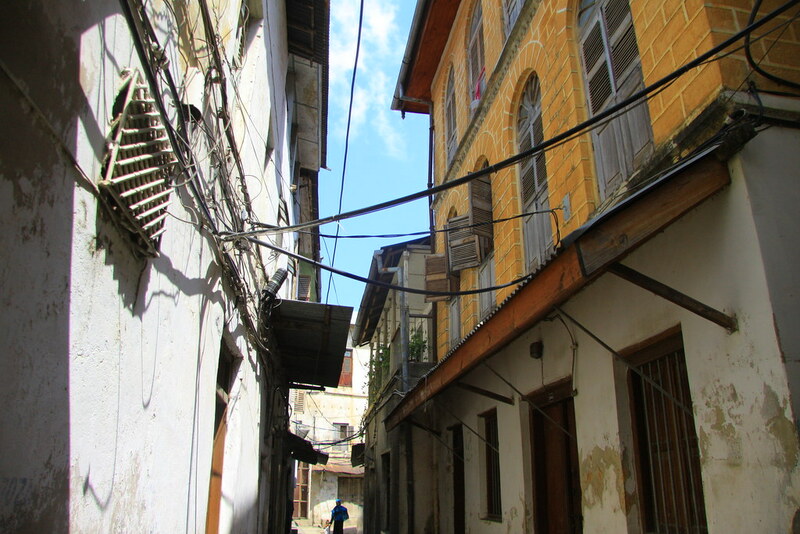 There are too many narrow side streets. “Where am I? Who am I?” Always I get lost. 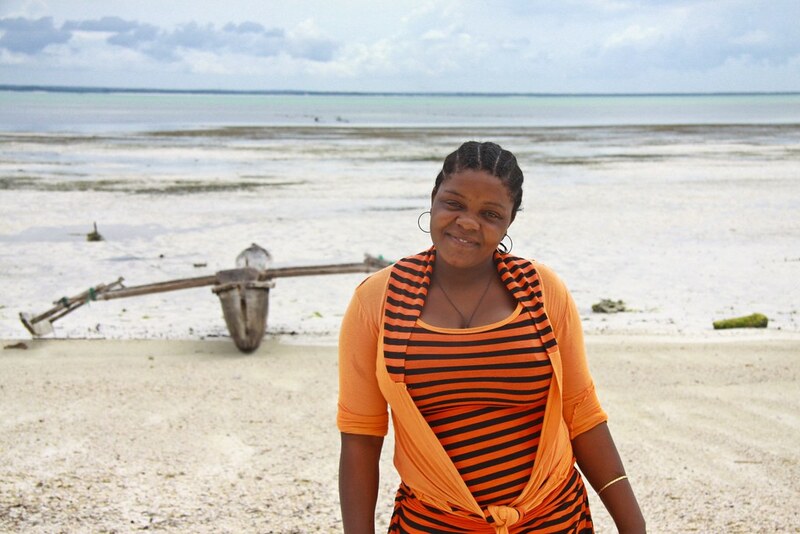 It is hard to find the way and actually my job, to get lost, makes me love Zanzibar. 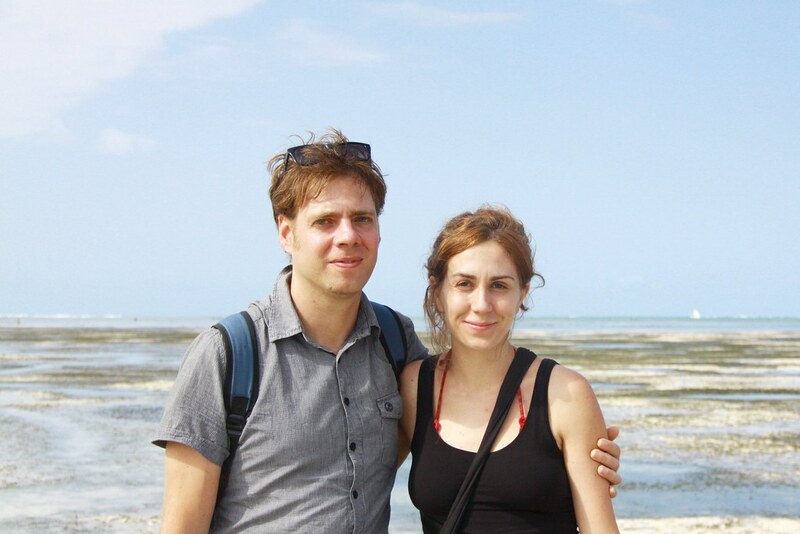 I meet some beautiful friends and with them I enjoy Zanzibar more. 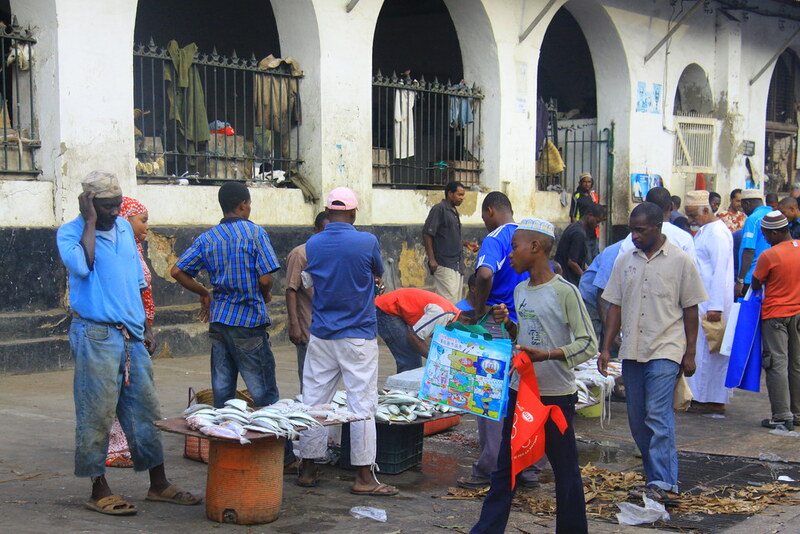 Many touts come to me when I arrive in Zanzibar Island around 4 pm. It is really hard to find the hostel I checked on online. As always African men hassle me. Even one guy smashes my back while I cycle on main road. I think he wants to welcome me as smashing my back, but I am too angry and it is hurt! What a rude!!!!!!! I want to go back and teach what good manner is to him. But many cars make honk at me when I stop and try to go back. So, I just give up. I keep getting lost. Finally I just give up, and I check some hostels with a tout. I thought I am good at direction. But it was just my misunderstanding. I am still bad at direction. Before 6 pm I get into some hostel. 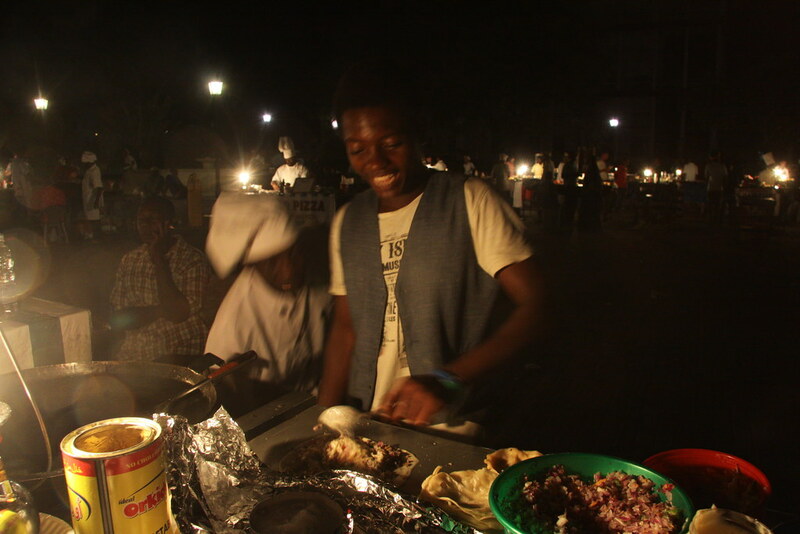 After organizing things in a hostel, it gets soon dark. 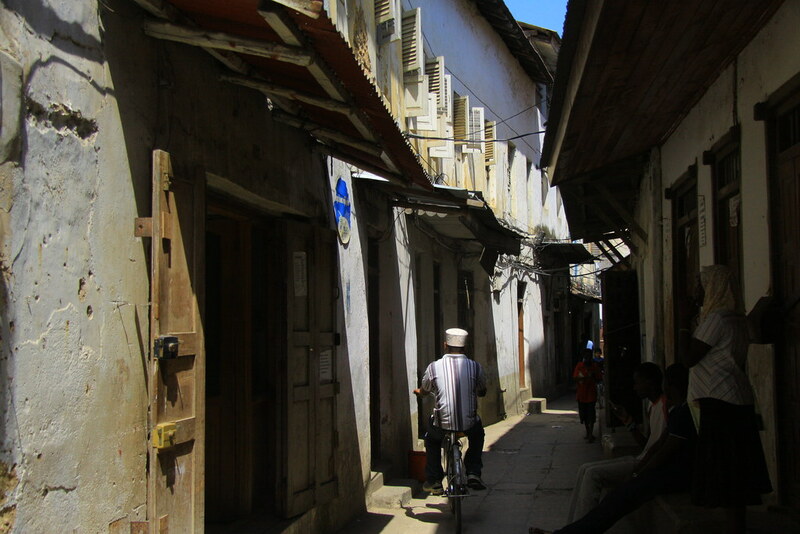 The main city in Zanzibar is Stone town. 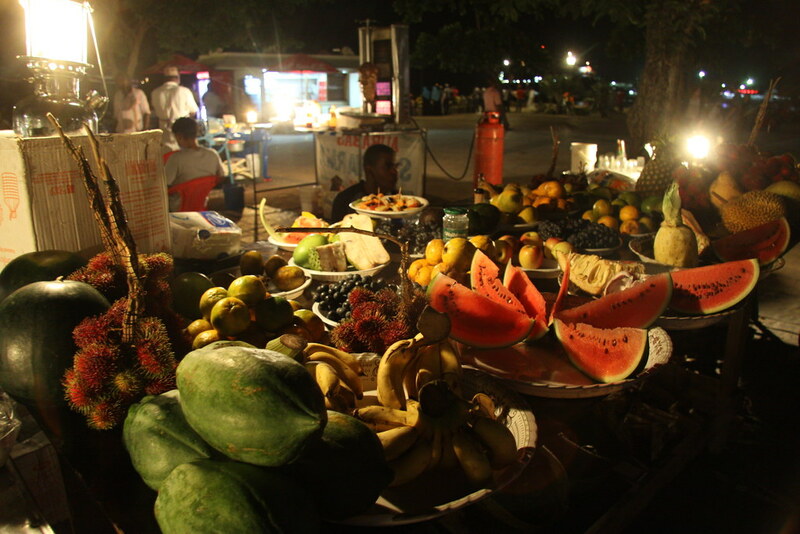 At the night there is a night market in the park. Of course, I find it as keeping asking where it is. 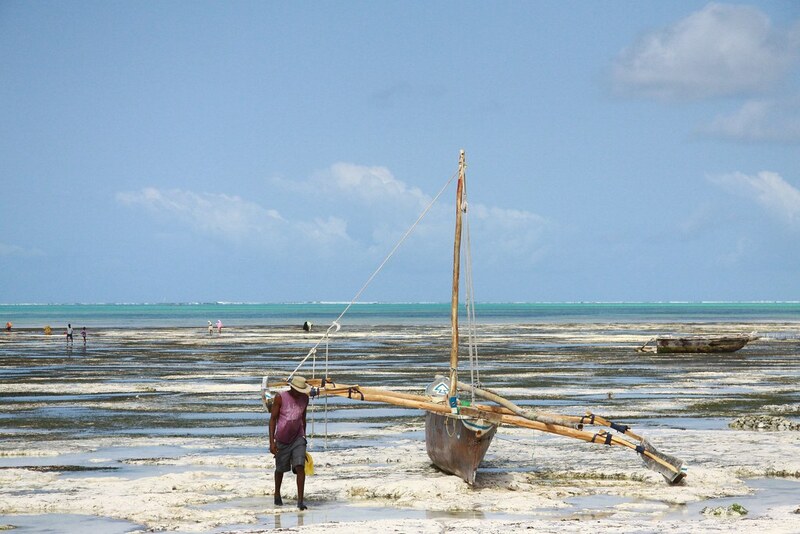 Zanzibar is not the Island which people can take the rest quietly. Endlessly a local people keep trying to talk to tourists. Between noises, I try to find quiet place to watch night light. There are many cats in Zanzibar. 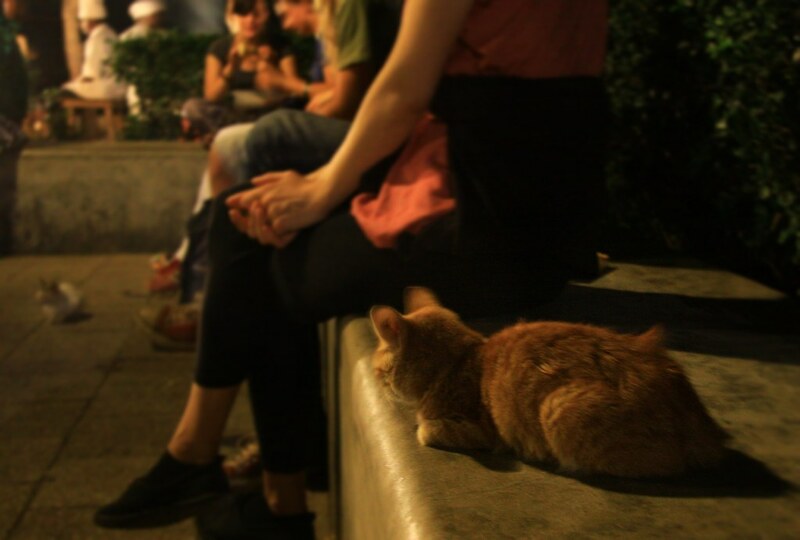 I loved a dog much, but now I love cat more than dog! I feel like I am similar to a cat. 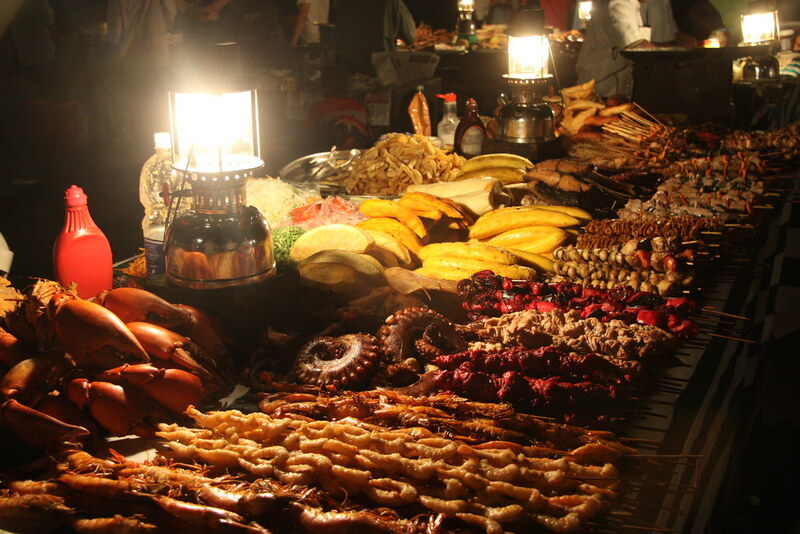 There are many foods in the night market. But I think this market is more expensive than the local market I usually use. 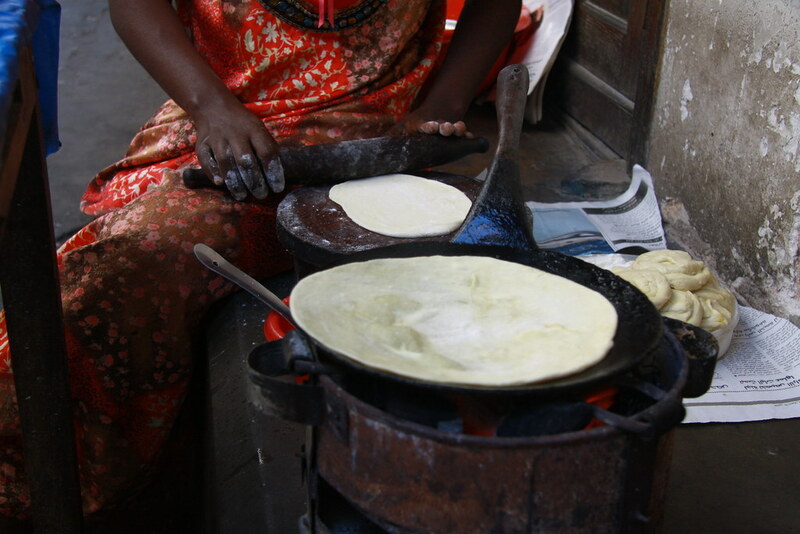 Zanzibar pizza is very popular. But I’ve never seen this kind of pizza in other local area. I think this is just for a tourist. The price is 2,000 Tsh (1.3$), and taste is good! There are also fruits. But this one is expensive than local market as well. Almost price is twice in a night market. 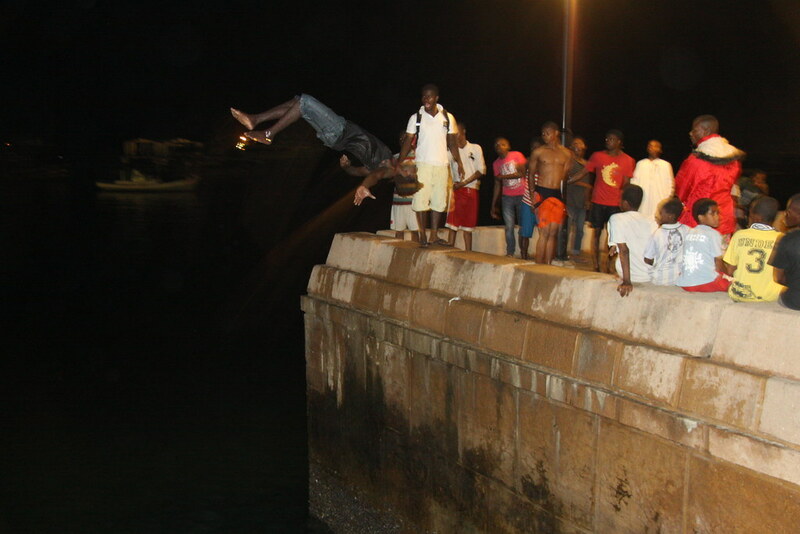 At the other side people enjoy diving. 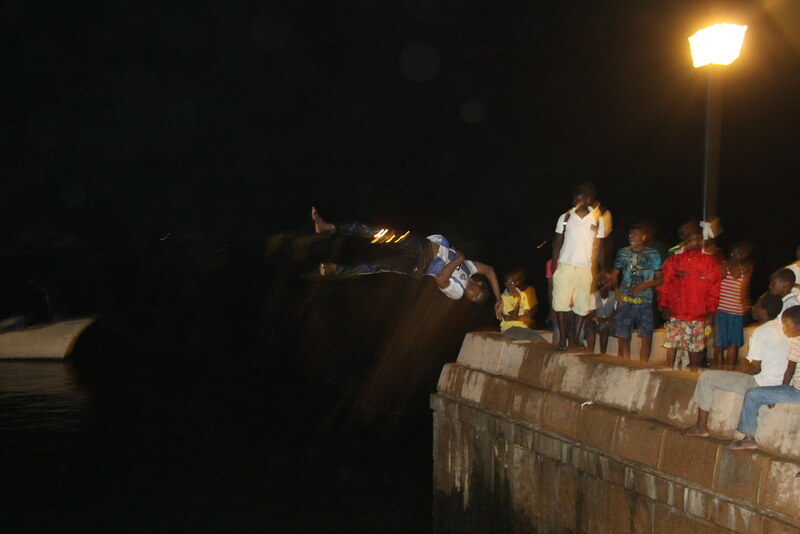 It seems that they compete who jump more awesome way. They are really amazing! But I am worried that they are okay with their back or belly? While I watching them, some couple comes and greets to me. I think for a second who they are? Oh!!! Italian couple, Marco and Cloudia! I’ve met them during staying at Italian’s doctor house before Mikum Safari. We are talking until 11 pm. We don’t know the next day plan. So we arrange to meet each other tomorrow night at the night market, same place. Am I crazy? 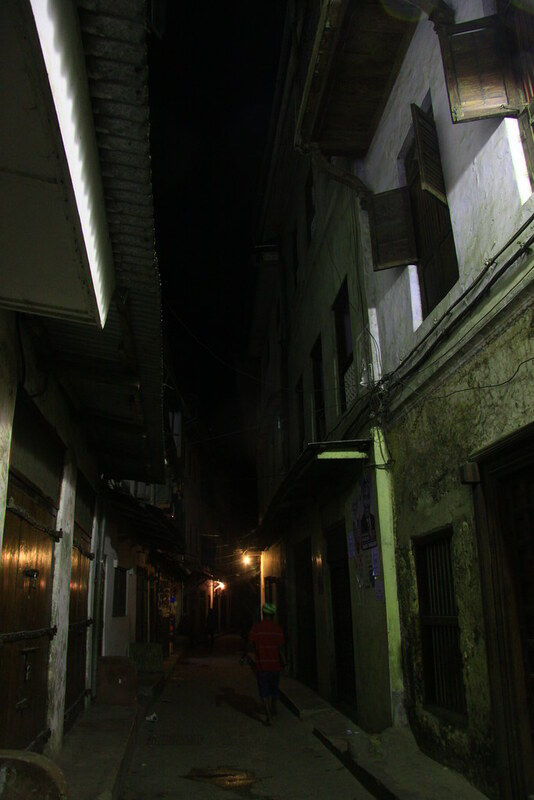 11 pm alone at the side street in Africa? No! There are many people on the street that I don’t feel it is dangerous. Use common sense! 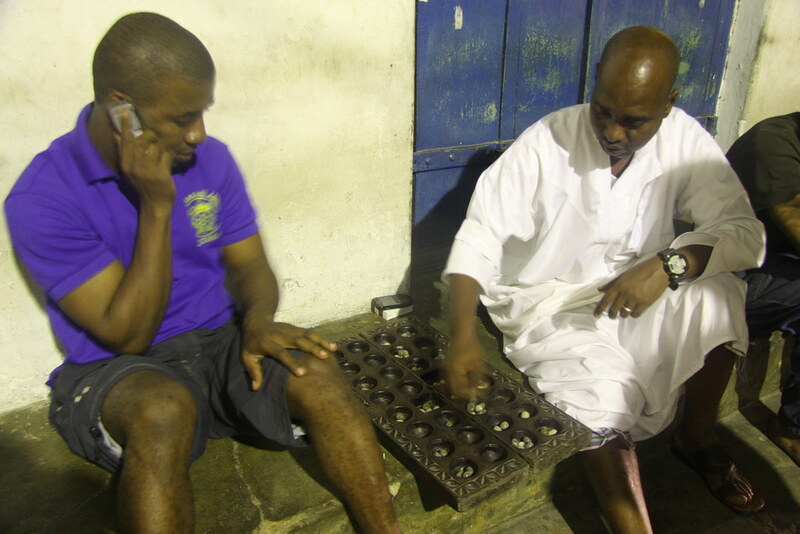 Zanzibar history is very complicated. 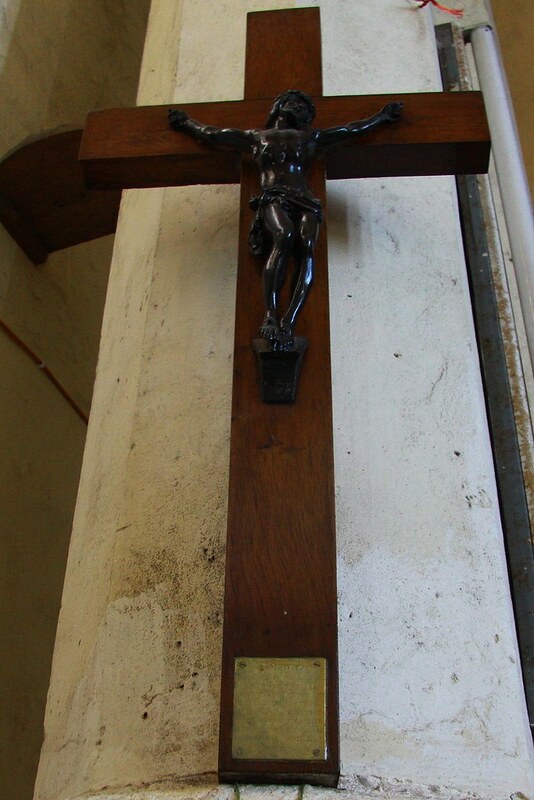 From 16c to 17c, they were conquered by Portugal, Europe country. During 18c to 19c, they were conquered by Oman, Arab country. 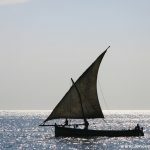 Since Portugal, slave trade was started. 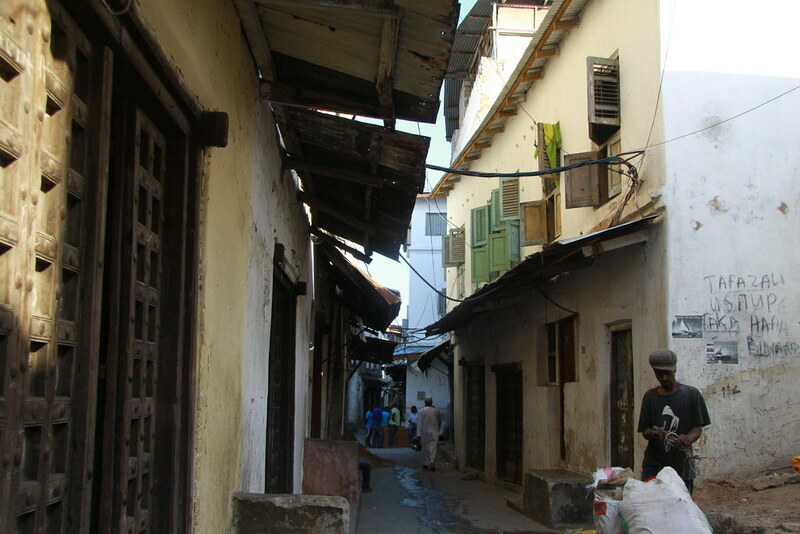 Zanzibar, a valuable property as the main slave market of the east African coast, became an increasingly important part of the Omani empire. In 1856 Sultan died and Zanzibar was conquered by England, again Europe country. British abolished the slave trade in 1873. The islands gained independence from Great Britain on 10 December 1963 as a constitutional monarchy. 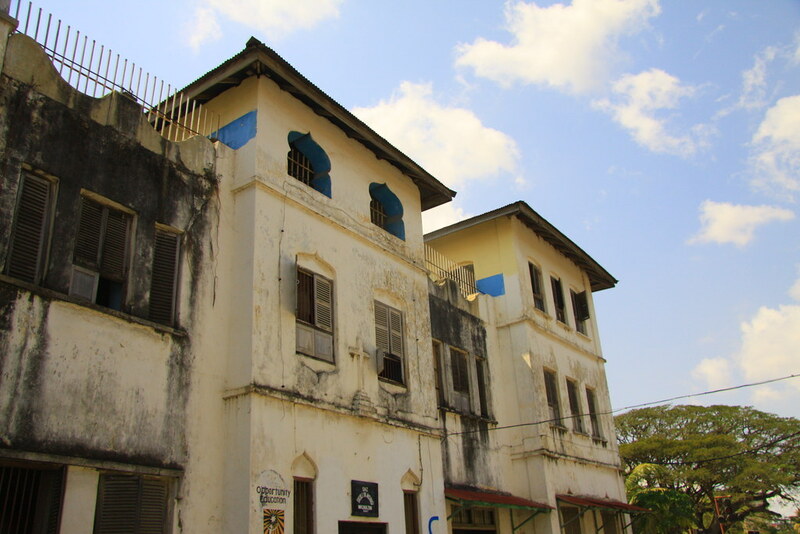 A month later, the bloody Zanzibar Revolution, in which hundreds to 20,000 of Arabs and Indians were killed in a genocide and thousands more expelled, led to the establishment of the People’s Republic of Zanzibar and Pemba. In April 1964, the republic merged with mainland Tanganyika. 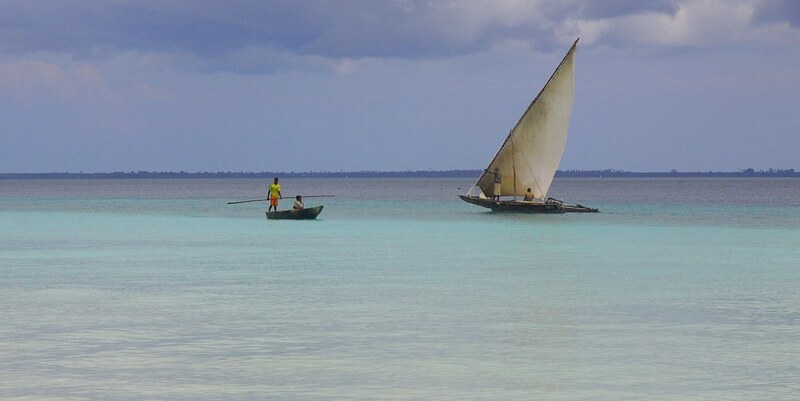 This United Republic of Tanganyika and Zanzibar was soon renamed the United Republic of Tanzania, of which Zanzibar remains a semi-autonomous region. It sounds so sad that they were conquered by many other countries and they were treated as slave for a long time. 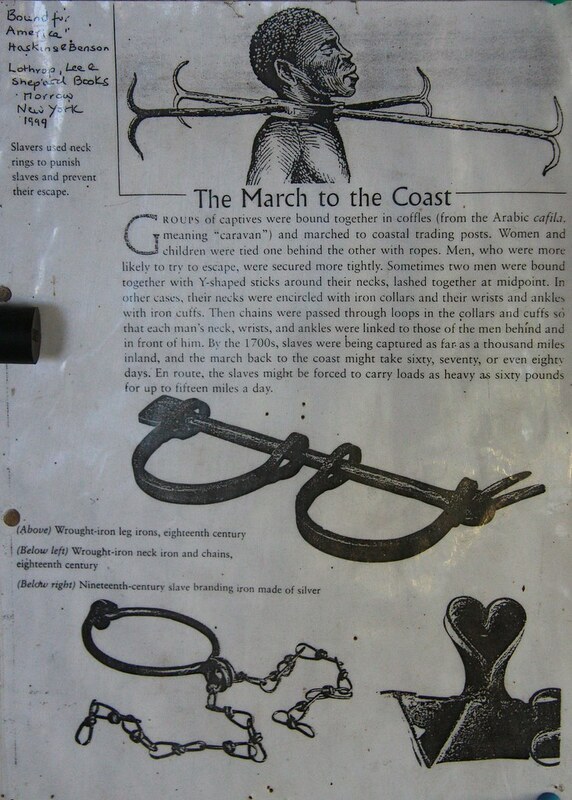 I want to visit Slave trade museum and see what happened. But from the morning I start getting lost. 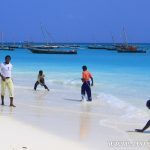 I’ve never been Arab country that to see Zanzibar is very interesting. The style of architecture looks so different. I’ve never been India. 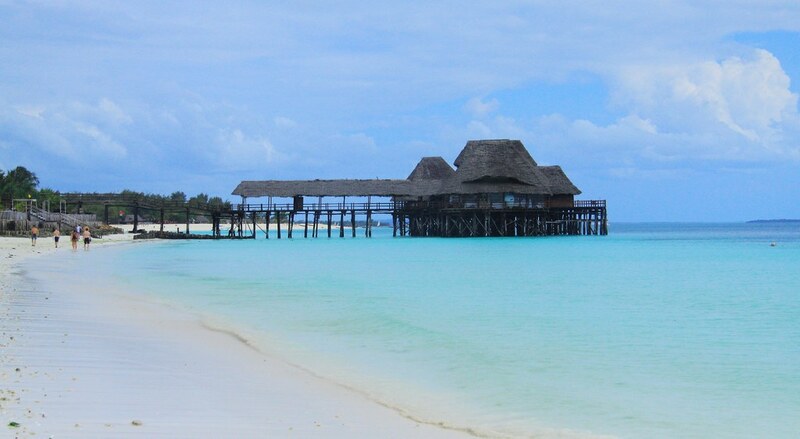 But I guess Zanzibar look the same as India. Claudia has been India, so I ask her it is the same. She said it is very different. 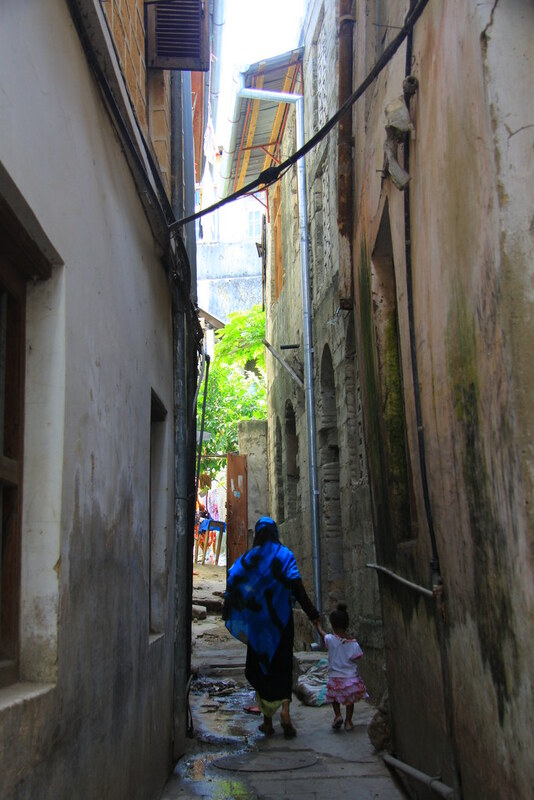 The first thing Zanzibar is much clean, the second thing there is no animal in Zanzibar’s street, and the last thing Zanzibar people doesn’t bother as much as Indian. 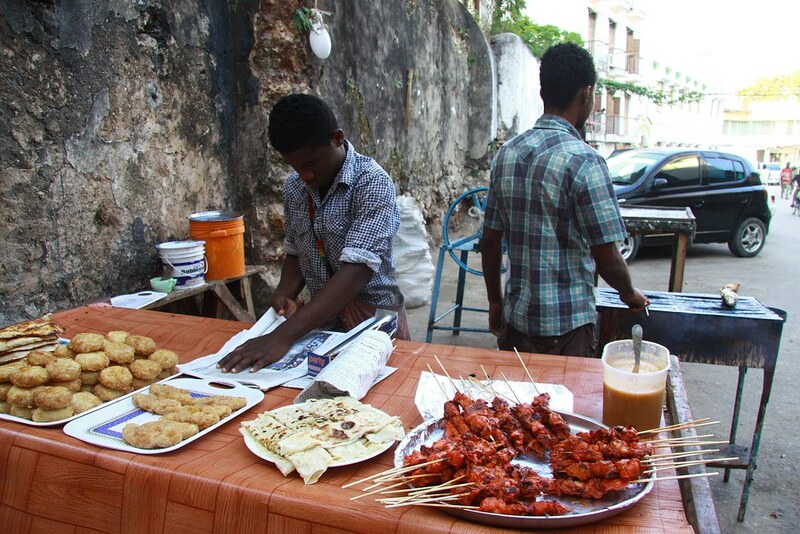 95% is Muslim in Zanzibar, and right now it is Ramadan. Muslims refrain from consuming food, drinking liquids, smoking, and engaging in sexual relations during Ramadan. Every year Ramadan day is different. This year it is from 8th July to 7th August. But children, baby and pregnant is exception. Woman starts Ramadan when they are 10 years old. Man starts when they are 15 years old, because woman is much mature than man they said. And all local restaurants close during Ramadan time. Some of expensive tourist restaurant only opens. For me, budget traveler, it is really hard. Around 2 pm, people start selling something on the street. But it is during Ramadan that I have to bring and eat at my hostel. They also pack it with paper as not making people eat on the street. I left the hostel around 11 am, but I got lost for two or three hours. 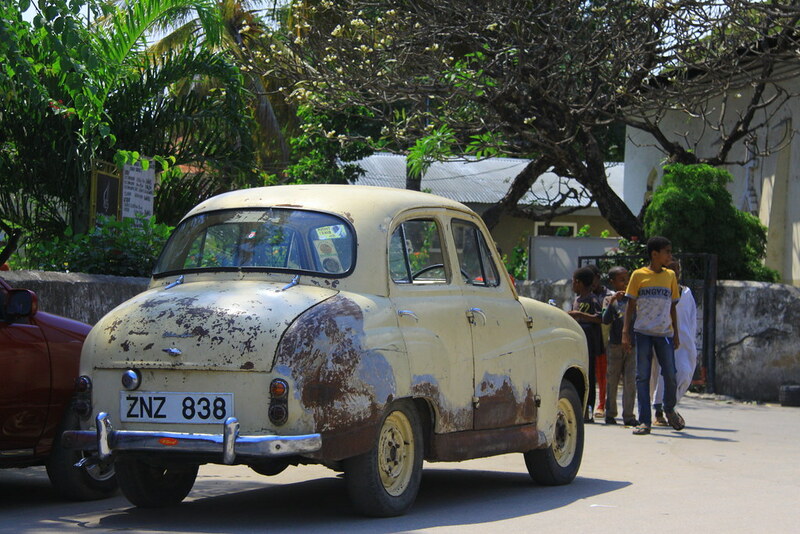 It is so embarrassing that the museum was just in front of my hostel, where I took the picture of the car. I have still no sense of direction although I cycle around two years. After eating something in my hostel, I go to museum. Slave trade starts at 16 c while Portugal conquers Zanzibar. 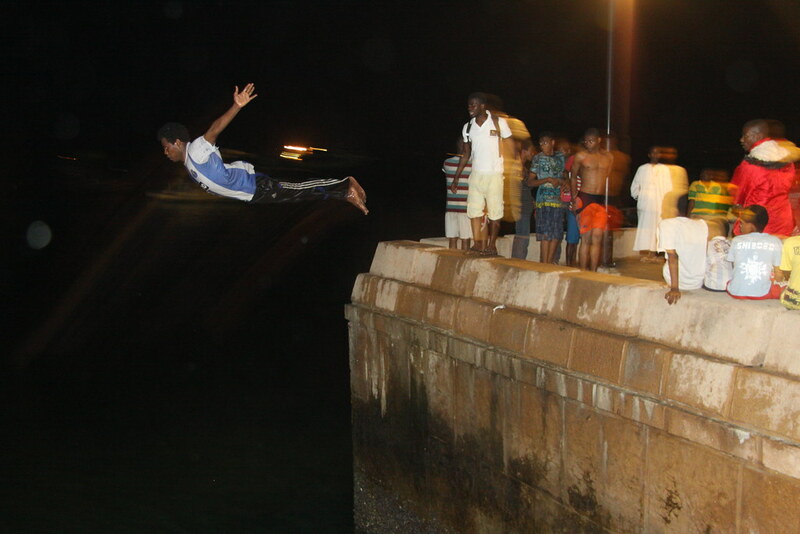 During Oman’s conquer, it increases. 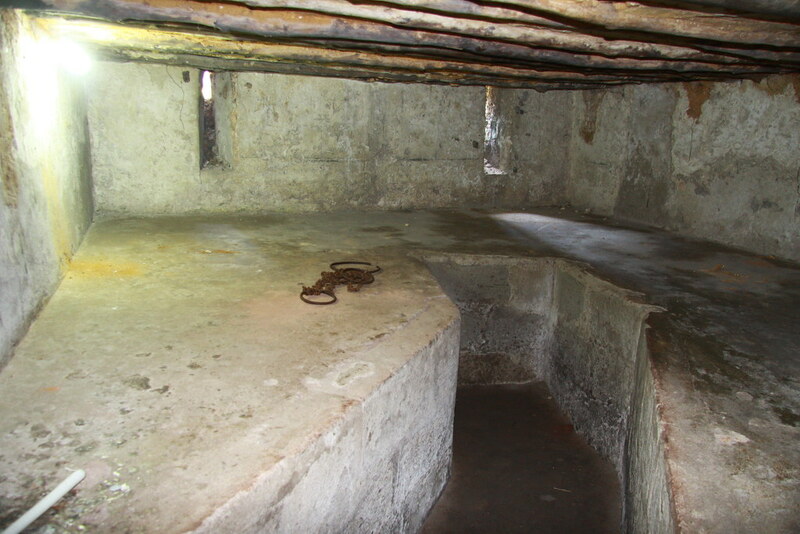 Above the picture, It is the place where slaves are kept. 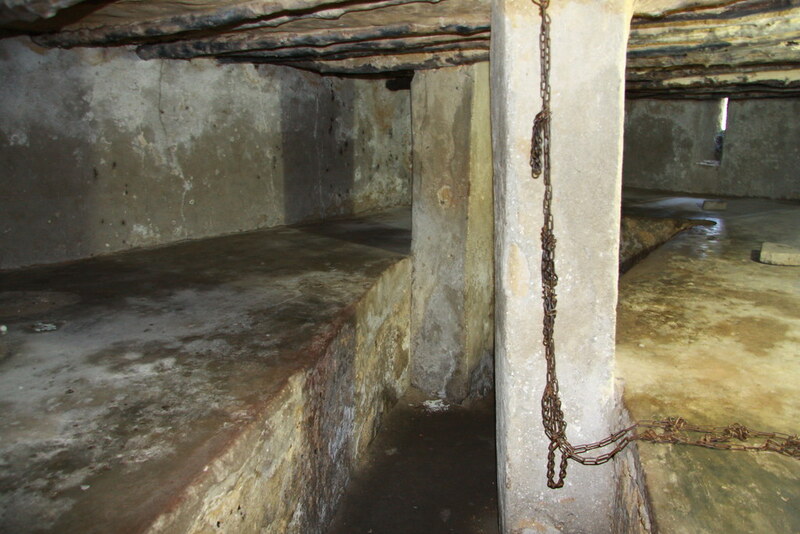 70 slaves stay here. This room is bigger, because this room is for men. They don’t give slave any food for a few days to test how they are strong. Weak people die, and only strong men survive. After then they are sold. 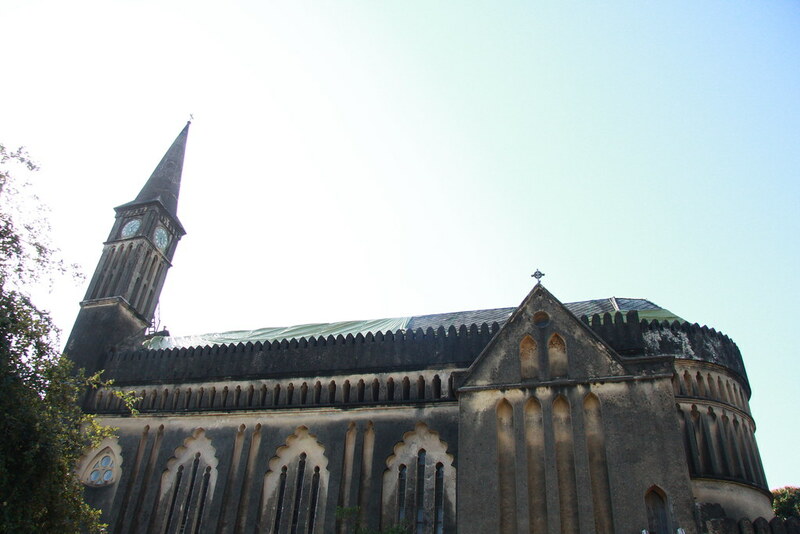 This is monument to the slaves in Zanzibar. They makes a group with different tribes not to give them chance for conversation and escaping. 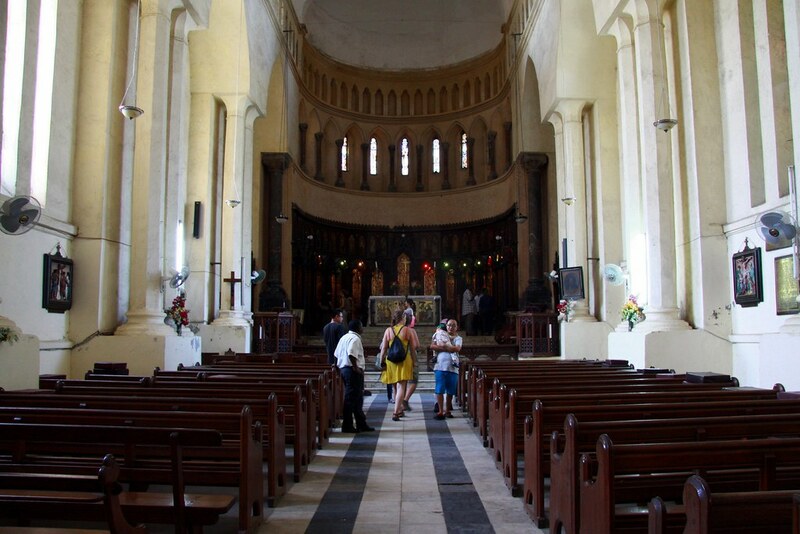 In the museum there is church, which is one of few churches in Zanzibar. Again I am on the small street. 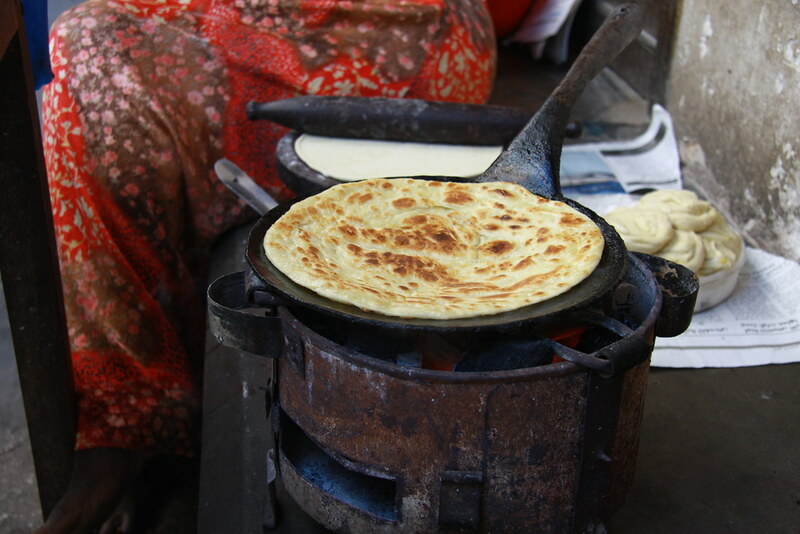 In front of my hostel, there is street vendor. One is only 500 Tsh (30cents). They usually start around 5 pm because of Ramadan. I buy and eat it at hostel. In the night I meet Italian couple at the night market. We hang around almost until 12 am. But there are more people than yesterday in the street. At 10 am I met Italian couple and took local bus together. 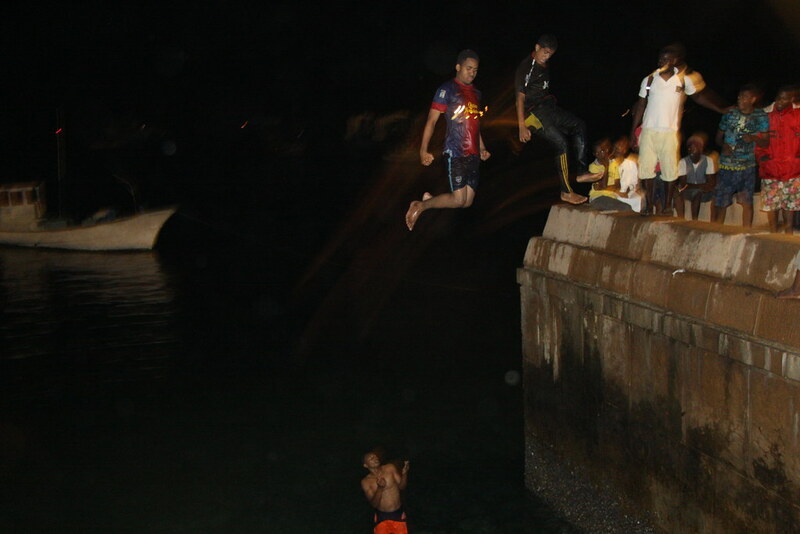 Our plan was to go to Jambiani beach. But during finding bus, our plan was changed. 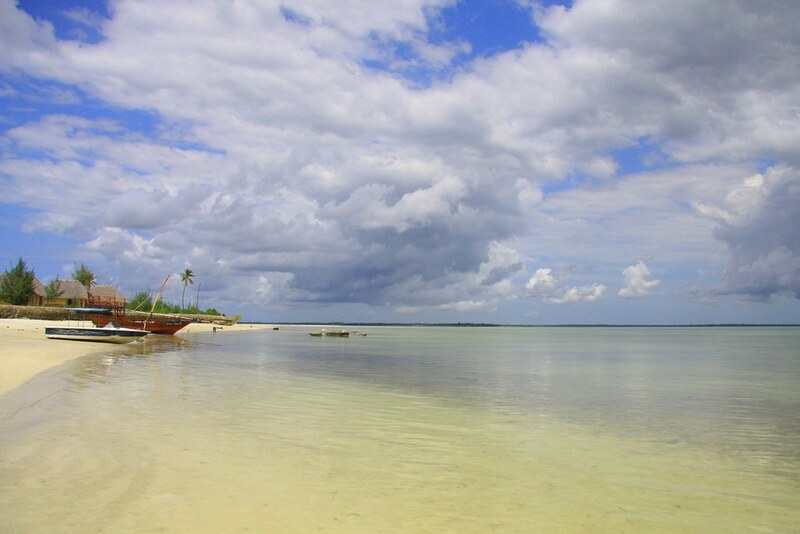 At first we go to Michamvi beach which is located at North and East. Michamvi beach is so quiet. Even we can’t find any other tourist. As keeping walking beach, we find nice and expensive resort. One of local people tries to talk to me. I am a bit worried about it, because sometime local people try to talk to me to beg money or sell something. But she is different from them that she just wants to hang around with me. Around 1 pm we move to the other beach, Jambiani. I enjoy so much traveling together with them. Also I feel so comfortable, because if I am alone, local people shout at me ‘China’ or some Chinese word. Maybe if I am alone, I might hear 100 times a day about that thing. But today I just hear few times! So easy day! 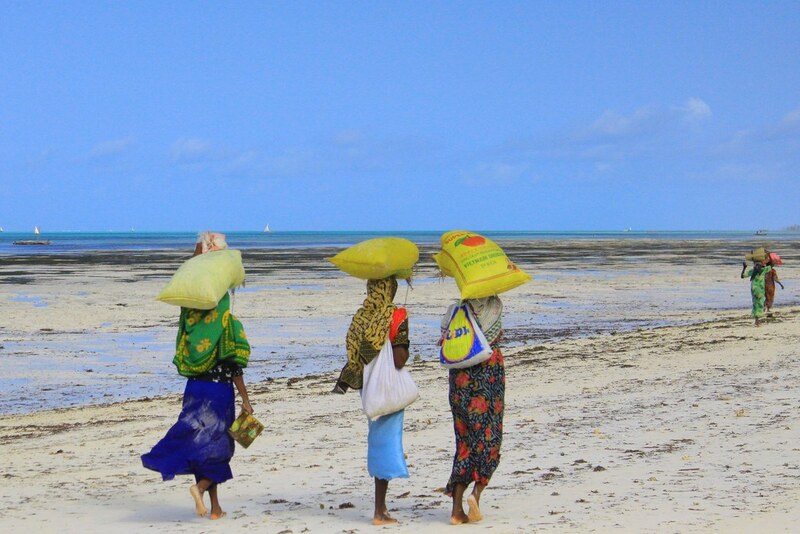 Local women carry something on their head at beach. It is long time no see ocean since I left Cape Town, South Africa. We have to take two buses to go back to stone town. I just thumb up and one car stops. He doesn’t ask money, but give free ride. We move maybe 15 minutes with fish! Funny experience. 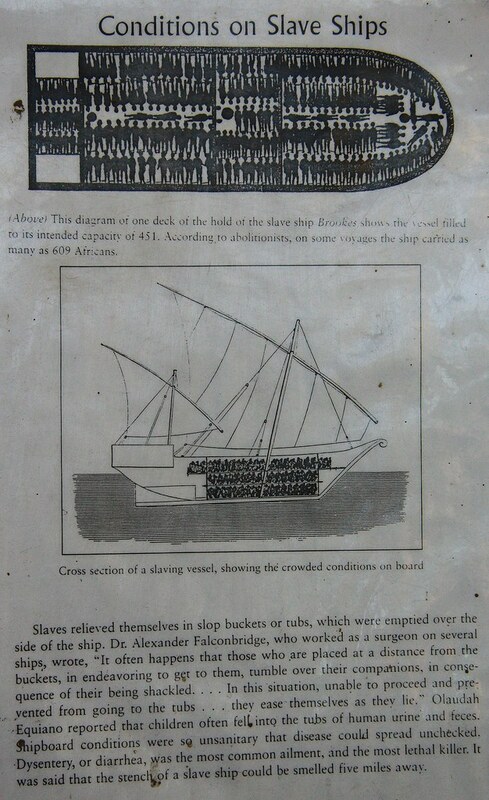 Yesterday I only visited Slave trade museum, because I spent most of time to get lost. Kindly, Italian couple visit to local market for me. 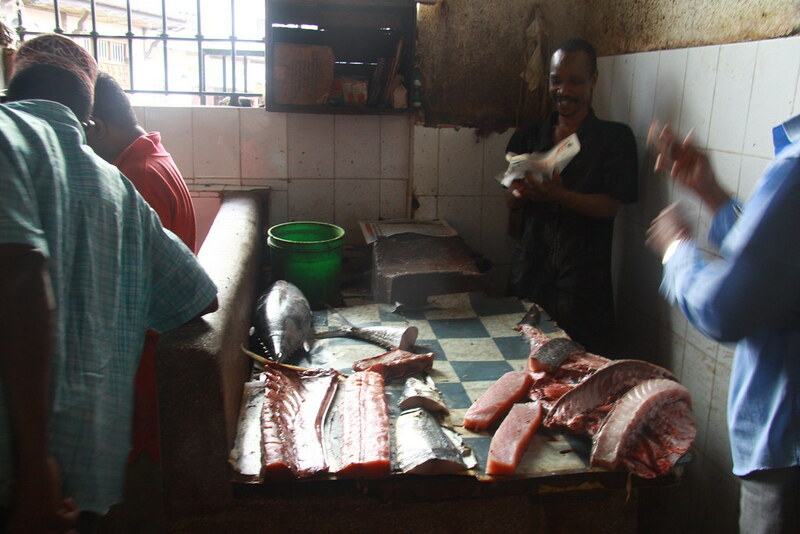 In the market building, the one side is for fish. The other side is for meat. 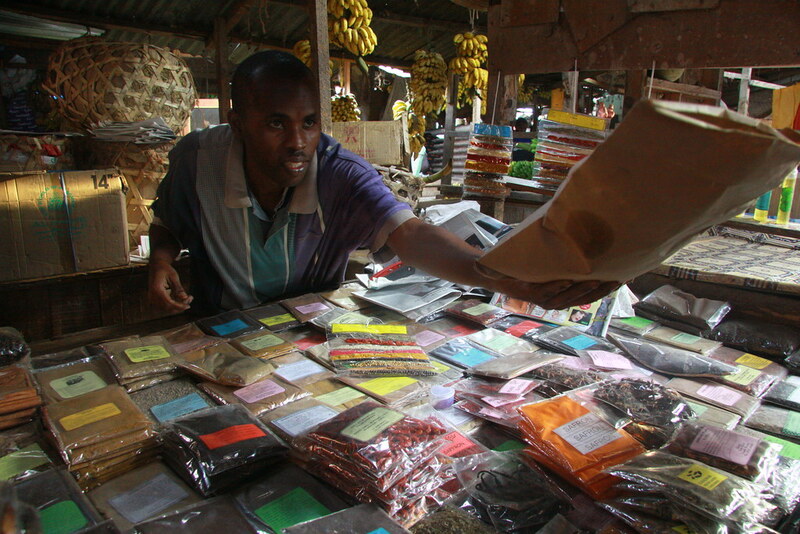 Outside of building there are spice markets. One of worker shows us spice to smell. I had sent letters a few times when I was in Americas. But I’ve never sent any letter in Africa. 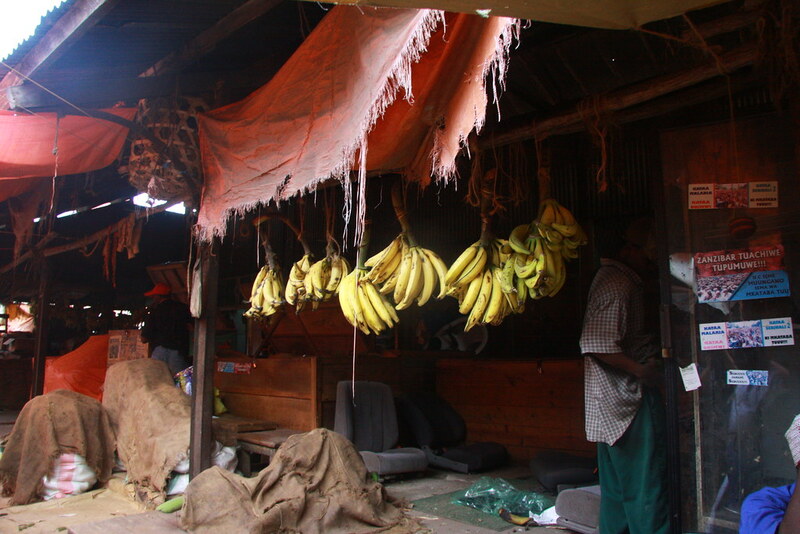 I think I feel so hard in Africa, because men hassle me that I don’t try to go often town alone. This time I buy some coffee and other stuff to send as a gift with a letter. We try to respect local people that we didn’t have any meal during day. (All local restaurants close during day as well.) We decide to meet again after taking shower. What that beer in photo? 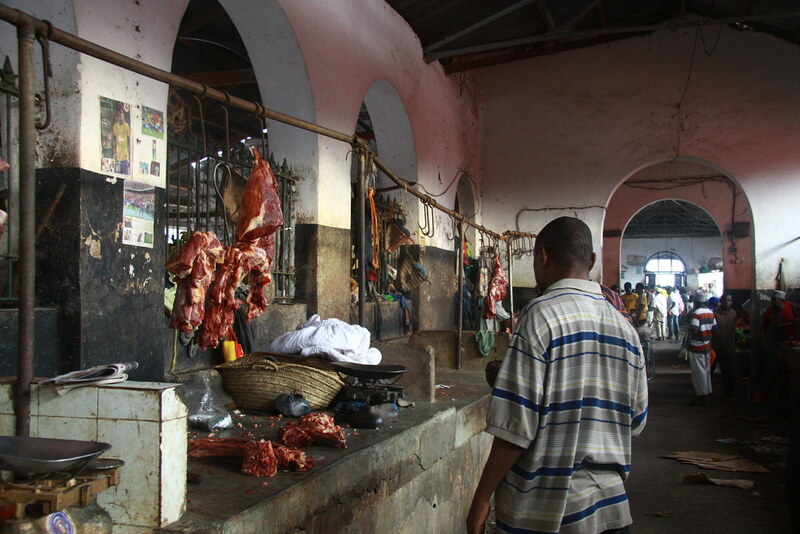 Stone town is Muslim area that a grocery doesn’t sell beer. 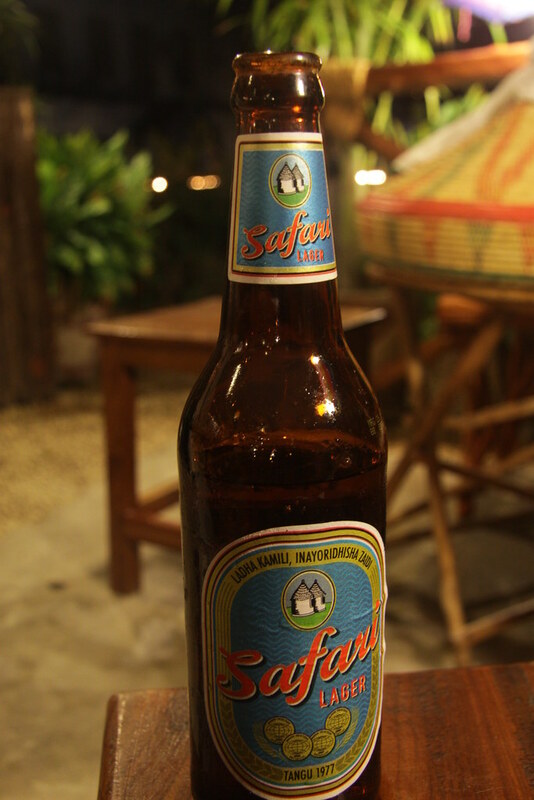 For dinner, we go to Ethiopia restaurant, and they sell beer! Yeah!!! 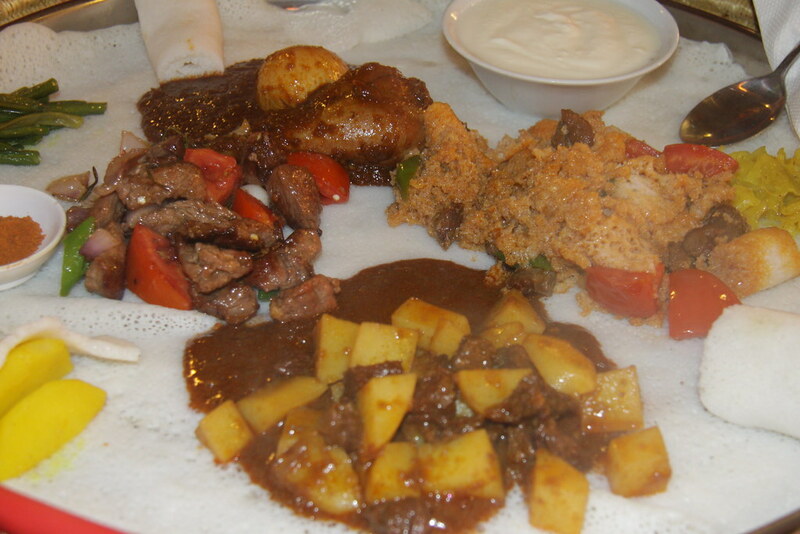 This is Ethiopian food, restaurant says. At first food was at a container. Suddenly waitress just threw food on the tray. I thought that he doesn’t want to work or he is just crazy. After a second I realized that on the tray the white thing is like pancake that we can eat our food with white thing. We don’t need fork, but need hand to eat. 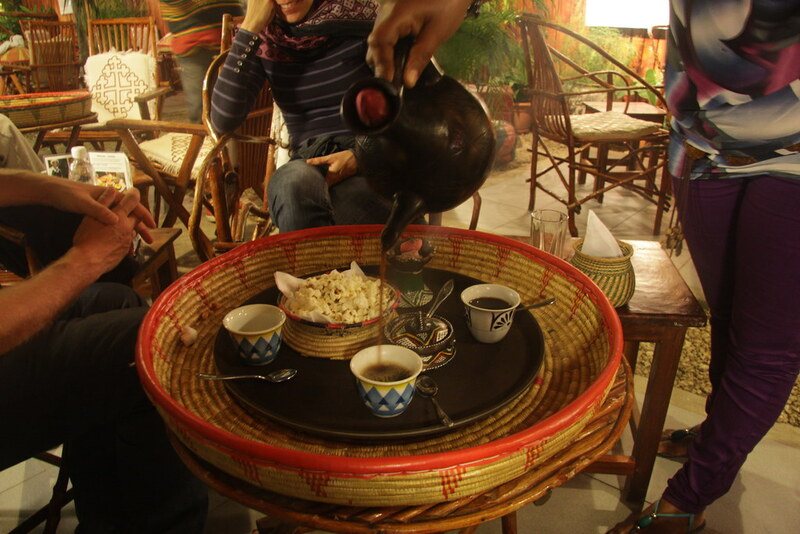 It is Ethiopian coffee. I play with charcoal and burn my finger. I am professional at playing charcoal, because I’ve played with it in many villages. But today unlucky I burn my finger. Marco’s hostel is very close that he brings some medicine. Italian couple pays a bill for restaurant. So, I want to buy something for them. 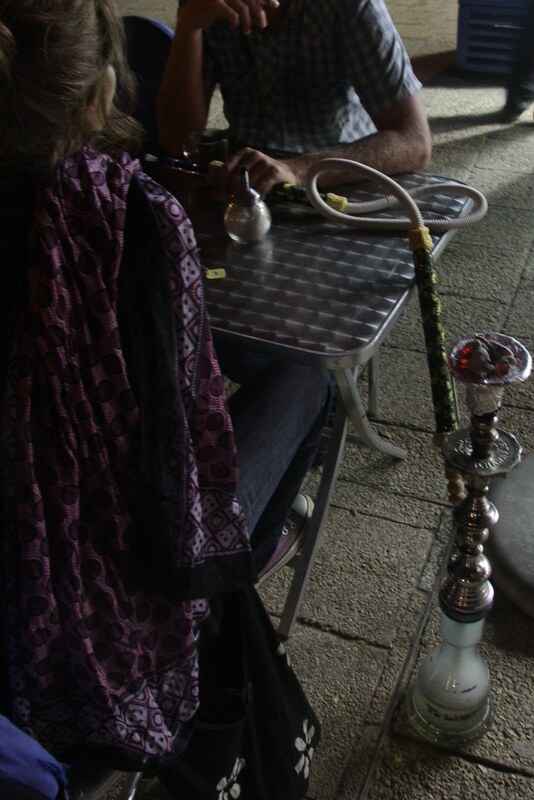 He says one of cafes sells shisha. 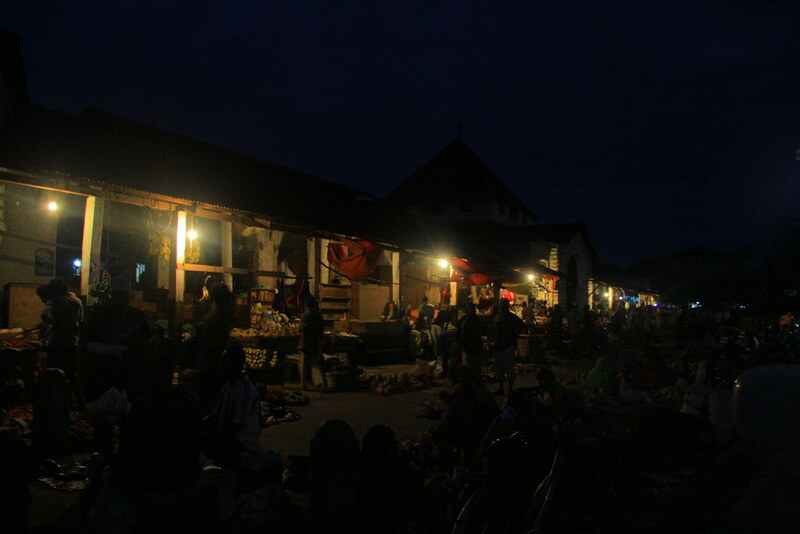 The cafe is located at the night market. 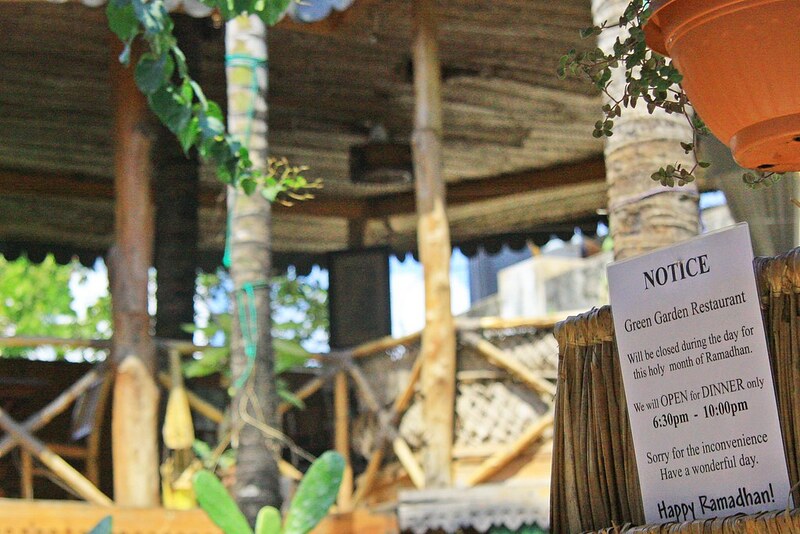 One shisha is only 5,000 shilling (3$). Tonight I again go back to hostel 12 pm. But there are lots of people on the street. In the morning we met again and took a local bus. 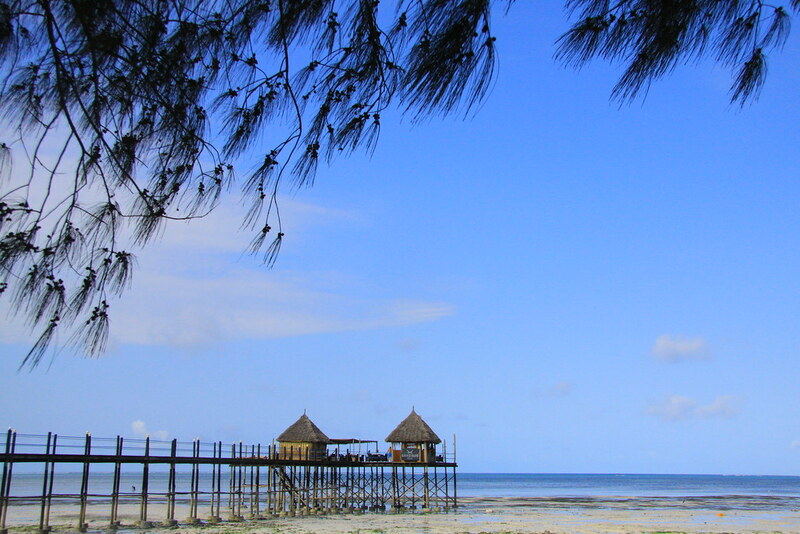 We come to Nungwi beach which is located at the north. 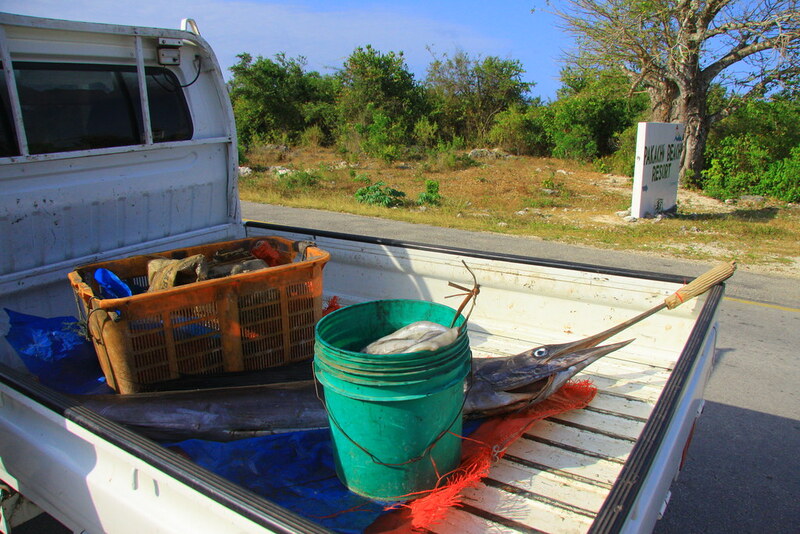 Local people are fishing together. Actually Italian couple brings small back pack to stay Nungwi tonight. 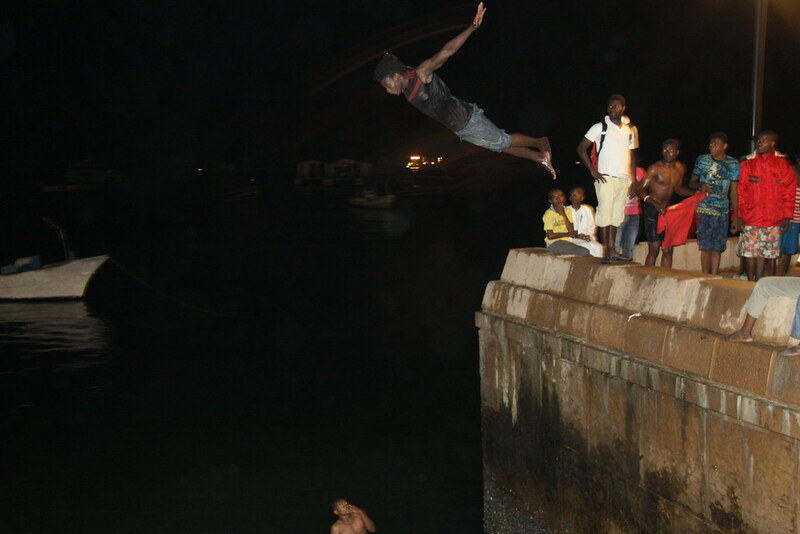 But I am gonna stay in Stone Town one night or two nights more. We are looking for cheap hostel, but most of hotels look so expensive. Italian couple finds some hostel. Maybe I am gonna stay the same place later. It is time to farewell. I was really happy to be with them. I enjoyed so much touring together. Maybe If I go to Europe, I can meet them again I hope. I’ve heard that there is some local ship and it goes to main land. I go to small town to check time and day. 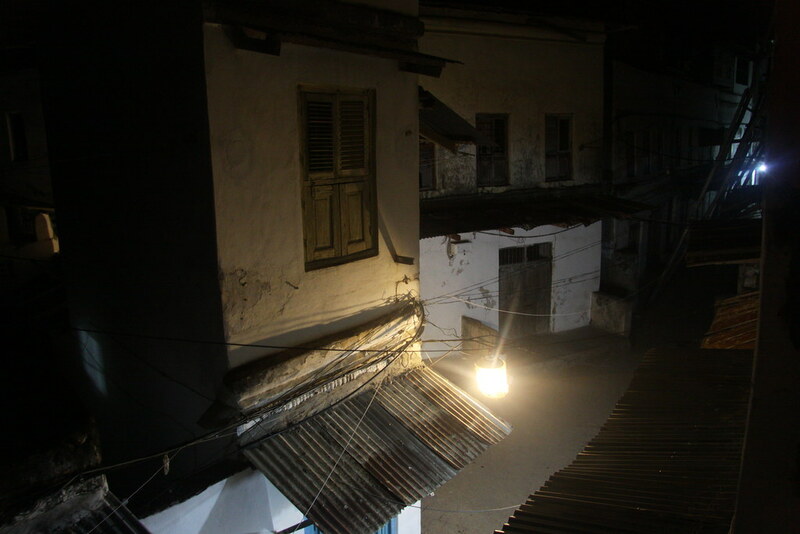 When I come back to Stone Town, it is dark. It means I can eat something on the street! Yeah! Local market is much cheaper than the night market. 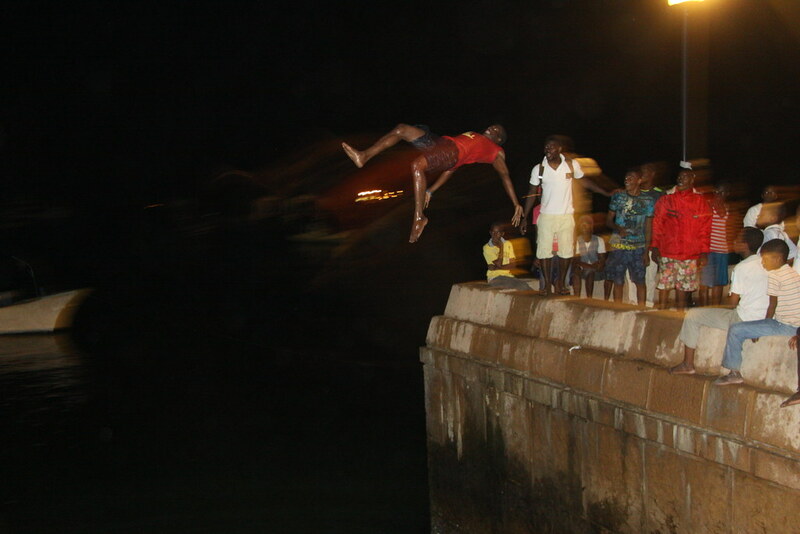 Around 11 pm, I come out to hang around. I love board game. But unless I don’t play, I can’t figure out how to play. On the picture they are brother. The right man will go to Korea to buy ferry. Maybe from next year there will be Korean ferry. Around 12 pm, street vendor still sells food. It seems everybody forget to sleep, because of Ramadan. I enjoy walking on the street. I meet one girl and I talk with her for a while. She wants to show her house that I go upstairs. House is pretty nice that it is different from outside. She says she will sleep after pray on 2 am. Almost 1:30 am I am so sleepy that I go to sleep. On 1:30 am still many people are on the street.